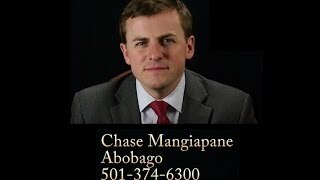 personal injury attorney experience to serve you. 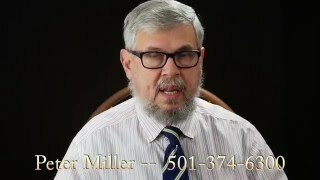 As Arkansas’s best known personal injury law firm, The Law Offices of Peter Miller, brings 33 years of Arkansas personal injury attorney experience to serve you. 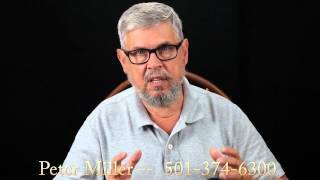 We specifically focus on car and big truck accident cases as well as cases involving wrongful death. Our team of highly experienced personal injury professionals maintains an outstanding record of success. Because of our reputation for winning, most cases that we handle DO NOT EVER GO TO TRIAL. The insurance companies would rather settle with us than risk our beating them in court. Over 95% of our clients never see a courtroom, as we work hard to settle cases before they ever go to court. We know that’s an important goal for each client, and we understand our responsibility to guide you through the sometimes arduous legal process with care, empathy and respect. If you or a loved one has been hurt or injured due to someone else's negligence, we will provide you with a dedicated team of personal injury professionals who will give your case the care and attention it deserves. We are here to serve you 24 hours a day, 7 days a week.